Even before the end of WWII, the United Kingdom needed larger testing grounds than were available in Great Britain, so they leased large areas of Southern Australia. This brought in the latest British aviation technology as companies like Armstrong, Avro, BAC, Gloster, Handley Page, Hawker, Supermarine, Vickers and others tested and even coordinated with Australian companies such as Government Aircraft Factory and Commonwealth Aircraft Corporation. During the conflict one of Japan's aims was to isolate and even invade Australia and with the Chinese Civil War raging on into the late 1940s, Australia wanted the latest and best defense that aviation could offer. Early in 1946 a new project was proposed for an all-weather Australian aircraft that could meet and beat anything that Communist China or the Soviet Union could throw against them. Thus the CA-23 was proposed. Commonwealth Aircraft Corporation archive photograph. The initial design was based on adapting the American Grumman XF9F-2 Panther with a larger engine and nose observation seat for a second crew member. However, by 1947 this proposal looked as if it were going to cost £40,000 and so the CAC turned to the Hawker N7/46 with swept wings. This avenue came to an end when Hawker chose not to cooperate. So it was at this point that a new, original, Australian design was the only option left. The CAC looked at what the USA, UK, France and others were doing and as part of the Commonwealth defense arrangements and SEATO agreements Great Britain made the Rolls-Royce RB.44 Tay axial-flow turbojet available followed by the Rolls-Royce RA.1 Avon axial-flow shortly thereafter. 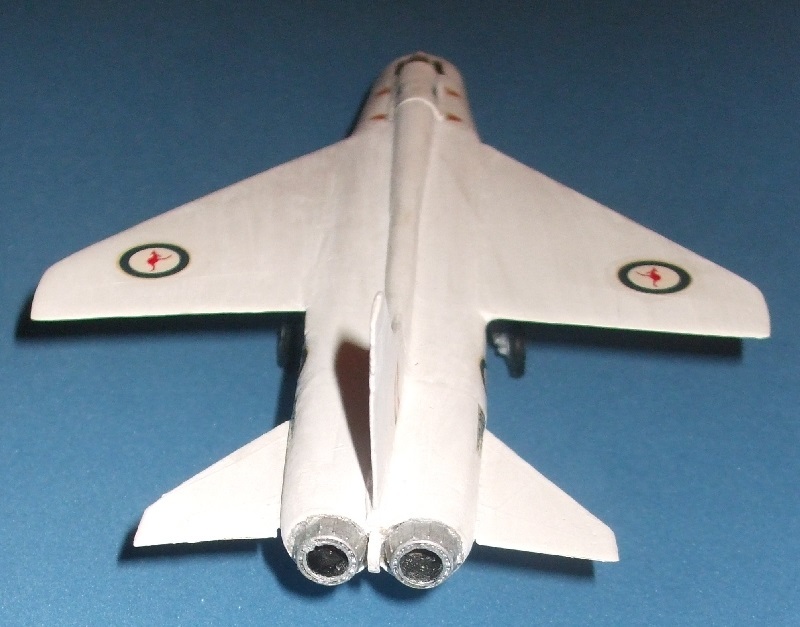 At this point CAC and the Royal Australian Air Force felt that they could create a design around these engines that could be supersonic with a target speed of Mach 1.5. Work was then commenced on constructing the aircraft. With completion of the mock-up, government officials began to get nervous about construction costs. Although the UK had the engines available, they weren't about to just give them away. As costs approached £400,000 for the Tay engines, the Avons were then considered with placement consisting of a layout with two parallel power plants with a two person crew seated in tandem. Australia tried to alleviate the costs by obtaining permission to manufacture the Tay engines in Australia for the cost of a manufacturing license. Rolls-Royce was very amiable to this arrangement and also gave consent for the Nene to be constructed there. Things looked to be on track, but as the British Air Ministry began cancelling projects similar to the CA-23, this caused the Australian Air Ministry to take a second look at the project. In the meantime, CAC continued on with wind-tunnel models on a 1/6 and 1/10 scale. One aspect that prolonged the design was that in the Australian aircraft it was planned to install the new video radar system designed by Dr. E J Bowen in the nose intake. Another unusual feature was that the four 0.5 machine guns would fire from inside the air intake with two on each side. This piqued British interest as well. The end came when the USA approved the North American F-86 Sabre for export to Australia. 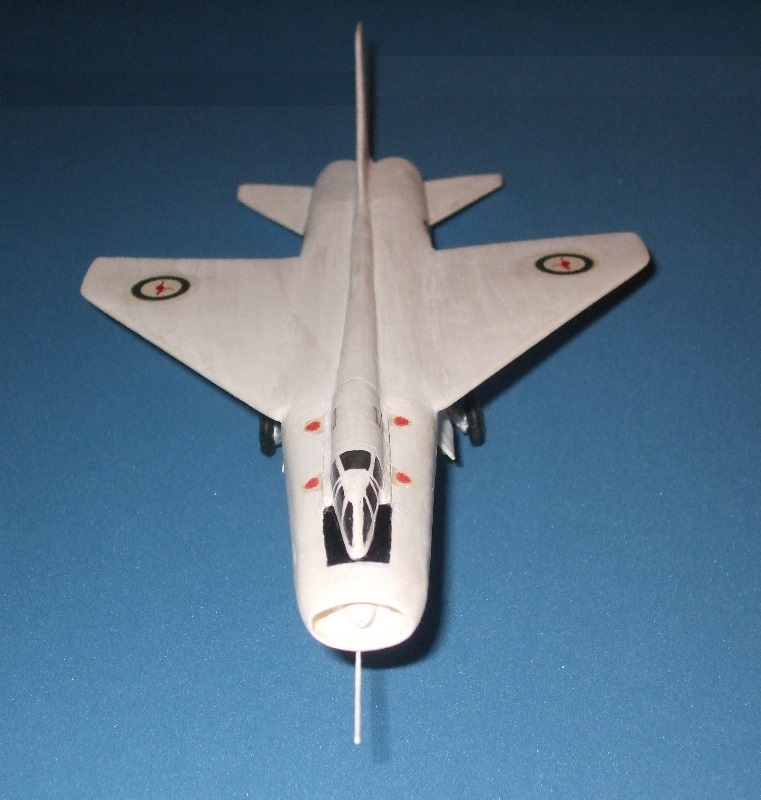 This along with a license to manufacture the Avon jet engines in Australia meant that the Australian version of the F-86, known as the Avon Sabre, could be produced at a much more economical cost with a vast improvement in performance over the original Sabre design. Thus the Australian Air Ministry cancelled the project with the CAC, however, even into 1953 CAC continued on with their research to hopefully attract customers and complete the aircraft, but technology advanced faster than the project and as with many excellent aviation projects, the advent of the ICBM brought about the final demise of these, including the CA-23. The completed mock-up and component parts are still kept in storage in Australia along with other potential projects such as the CA-31. The version of the aircraft in the photos is finished in the post-World War II anti-radiation white that became a common paint version in Australia, the United Kingdom, Canada and other nations during the early stages of the Cold War. For this kit Tamiya Flat White XF-2 was used for the exterior along with Tamiya Flat Black XF-1 for the anti-glare panel, tires and inside engine exhausts. Landing gear and outer engine exhausts are finished in Tamiya Flat Aluminum XF-16 and cockpit interior and landing gear wheel wells are in Tamiya Flat Yellow Green XF-4 for the zinc chromate. Pilots uniforms are Tamiya Flat Khaki Drab XF-51. 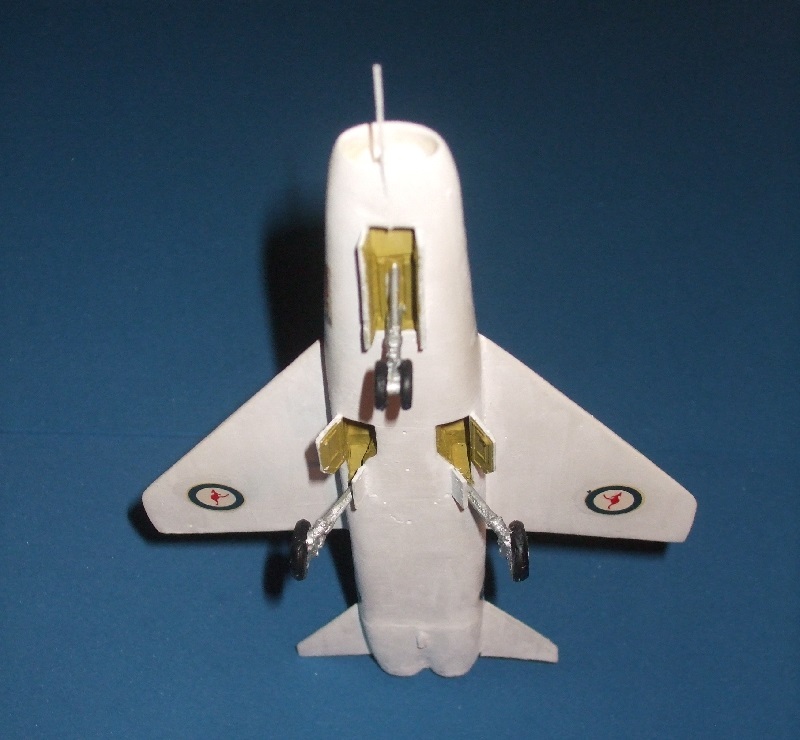 The kit is cast in a solid resin format for the fuselage and tail section. Wings, tailplanes, fin, landing gear and cockpit details are separate. Since my desire was to have a free-standing display, the interior of the fuselage and tail section were hollowed out with hours of patient and very careful drilling. To help support the resin landing gear, flat wire was run up the inside of the main landing gear legs and bent to conform with the shape. Some sanding, filing, filling and detailing was required. Pilots were separate from the kit and the pitot tube was made from metal tubing. Several coats of each color were used along with several coats of clear, flat as well. This was not an easy kit, but once completed, a major accomplishment and quite a rare and unique aircraft to add to your collection! Uncle Les also makes the CA-31 and other unusual aviation projects of Australia. Photographs on this page provided believed to be in the public domain. If you hold a copyright and can prove it, we will remove any such photograph or illustrations. This article and its contents are copyright by the International Resin Modellers Association, Zane R Nobbs and Les Applebee of Uncle Les Models.